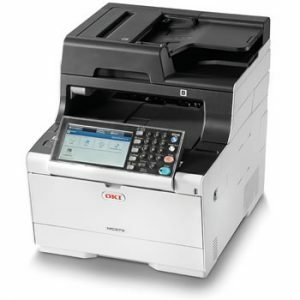 The MC573dn smart MFP utilizes reliable OKI LED print technology to produce excellent HD color output with a customizable scan / print document platform and secure cloud integration. Manage print, scan, copy, and fax functions from the MC573dn’s 7” color LCD touch screen. The MFP becomes an essential office solution when paired with time-saving solutions like Sendy’s Document Explorer Lite and PaperCut™ MF, as well as optional cloud storage applications, such as Office 365™, Google Drive™ and DropBox™.